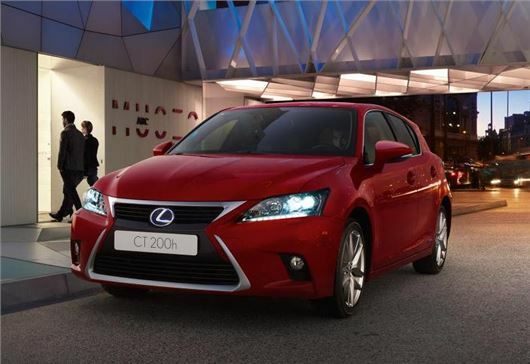 Lexus has revised the CT 200h, with new exterior styling and improved emissions. More importantly, prices across the range have been reduced significantly, meaning a £1000 lower starting price of £20,995. Reductions elsewhere in the range are as much as £1500. Order books are open now. Emissions are as low as 82g/km, meaning free annual VED and a company car BIK rate of 10%. Fuel economy for the S grade model is 78.5mpg while the rest of the range delivers official consumption of 68.9mpg. All models have undergone chassis tweaks to improve ride quality, stability and handling. The best selling model in the range – the Advance – has been given improved equipment as part of the revision. Standard gear now includes parking sensors, heated front seats and a new satellite navigation system. These extras are added at no extra cost, however there is no reduction in price for this variant.